Pimp my amp! 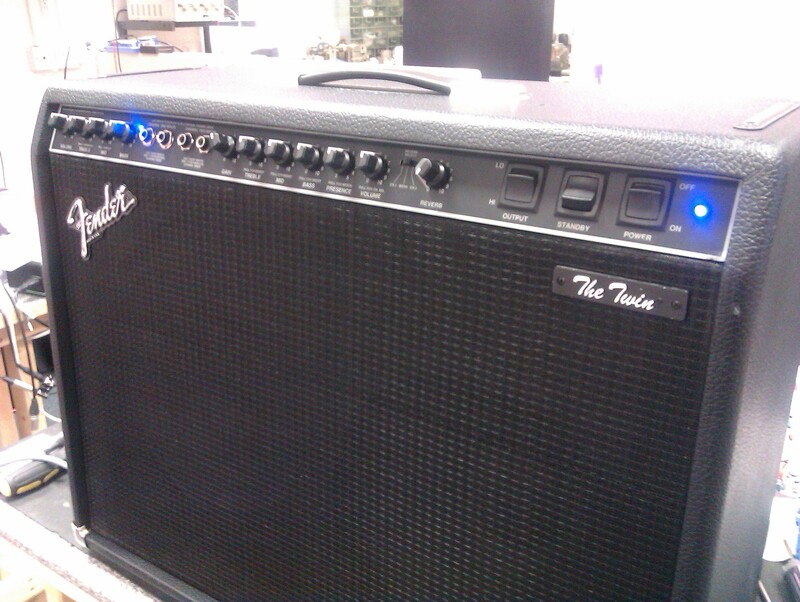 Here is an example of the “red knob” Fender Twin amp. These amps sound great, but the looks tend to divide opinion somewhat. Here’s our take on a facelift for the jolly old red knob amps. With a new suit of black grillecloth, black knobs and blue LED indicator lamps, the appearance is transformed.